We kicked off the launch weekend in true Jacks style with our 2 VIP evenings. 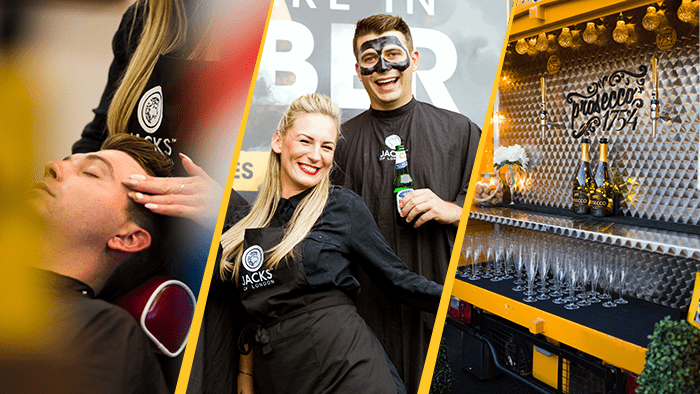 Clients and special guests enjoyed complimentary Jacks services including haircuts, shaves and Barber Pro Man Masks whilst the prosecco flowed freely with the help of our quirky little Tuk Tuk bar. Acoustic Jukebox kept the tempo up with a host of live music throughout the evening and the hot pizzas and golfing goodie bags full of Jacks, American Crew and World of Golf products were a huge hit! A massive thanks to all that came down to celebrate the opening with us, including Charlotte from HJ Magazine and Matthew from Barber NV! And on Saturday, despite the pouring rain we continued our launch weekend with a fun packed Family day. The littles one’s enjoyed dinosaur face painting & balloon modelling and we were all treated to some classic Barbershop Quartet tunes by On that Note. Check out all the action of our opening in our cool store launch video. If you weren’t able to make it down to our launch weekend then make sure you drop by soon and meet our top team. 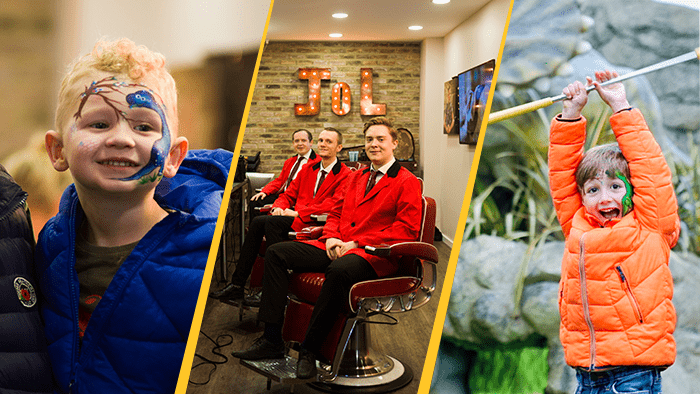 We are still offering £5 off your first haircut and you’ll get 25% off your Costa Coffee too! Calling all students! The summer is almost over and you’re probably switching your brain on to all the things that you’ll need for the new term… you’ve brought your study pack, sorted out your accommodation and worked out how much you can spend on your social life BUT are you in the know when it comes to your hair, skin and beard?